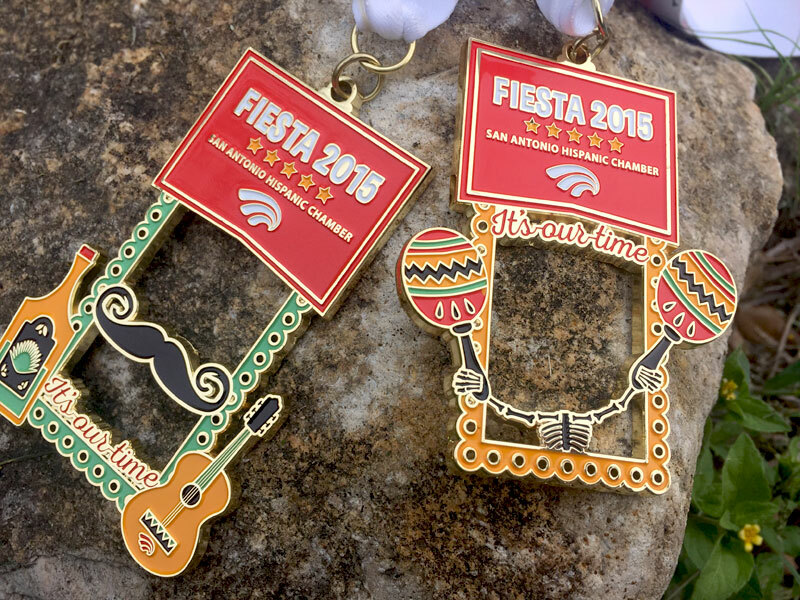 It’s Fiesta time again in San Antonio and that means events, parties, good times, and the ever-traditional Fiesta medals! Last year, we had the privilege of designing the San Antonio Hispanic Chamber of Commerce’s medals and this year is no different… except for this never-been-done-before, elevated medal design and concept! Being a digital marketing agency, our brains are wired to the web, social media, and all things that digitally connect the world. We wanted this year’s medal to be interactive and socially shareable to make it fun, all while gaining exposure for the Hispanic Chamber. And what better way to do that than by creating a selfie medal? Of course, the Vuepoint team had to get in on the action too! When it comes to digital marketing, it’s pretty transparent. You know when your campaign is blowing up because the results are right there in front of you! Just because we are a digital marketing agency, doesn’t mean we don’t do traditional marketing. It just means that when we do something “offline”, we’re going to make sure it gets incorporated “online” in some way. These medals are the perfect example of how a physical product can become “digital”! Check out the live feed on Instagram, Twitter, and Facebook! This medal was no small feat. It measured in at approximately 2.5″x3.5″. So big, that it is sported on a lanyard, rather than the traditional pin. There’s no way this medal would have become a reality if it weren’t for the input and execution from Michael Vela of the Hispanic Chamber and the sponsorship support from Luis F. Hernandez of Telemundo – KVDA San Antonio. How we’re going to top the design for next year’s medal is beyond us. Better start brainstorming now!